Today I’m sharing our master bedroom, the last room in our home that I’ve decorated this year for Christmas. I don’t always decorate our bedroom, last year, we used a small pencil tree in this space, which I loved, but since our bedroom is quite small, I decided to keep things more simple this year. Simple doesn’t mean boring, however. 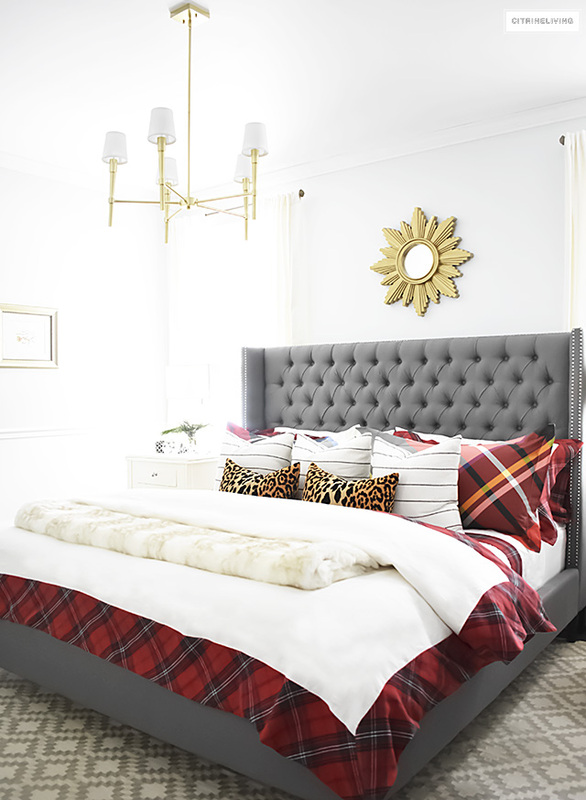 A simple change with all new tartan bedding has completely transformed the look of our bedroom. If you know me, then you know I’m kind of addicted to bedding, to say the least! 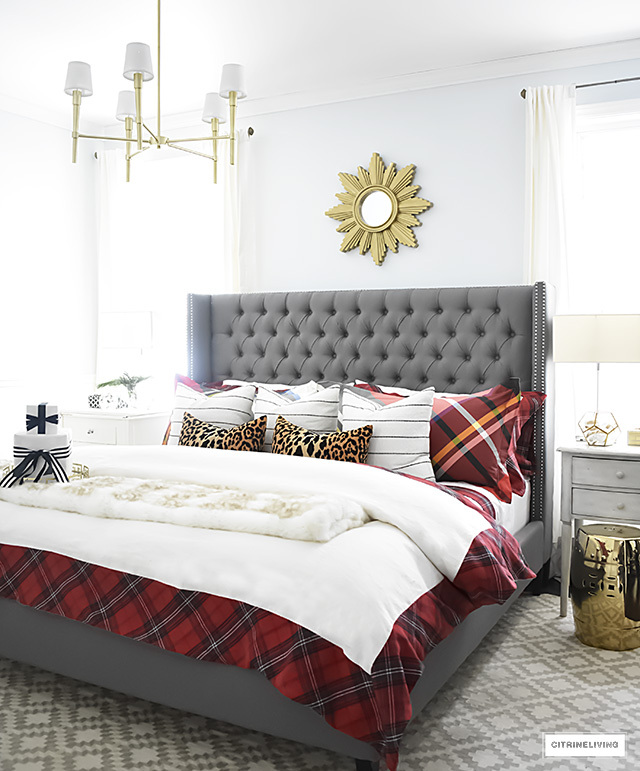 I love to change our bedding throughout the seasons (you can see what we did last Fall here) and this year, I chose to focus on our bed to bring in a look that’s cozy, chic and festive. 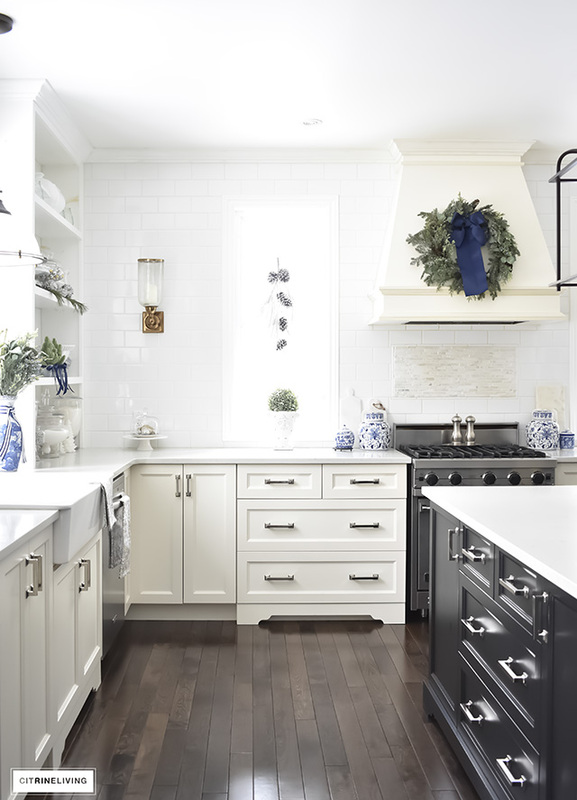 *This post is in collaboration with Williams Sonoma Home, all opinions and words are my own – I only endorse products I truly love and that I think my readers will love as well. Affiliate links provided in this post for your shopping convenience – see my full disclosure policy here. 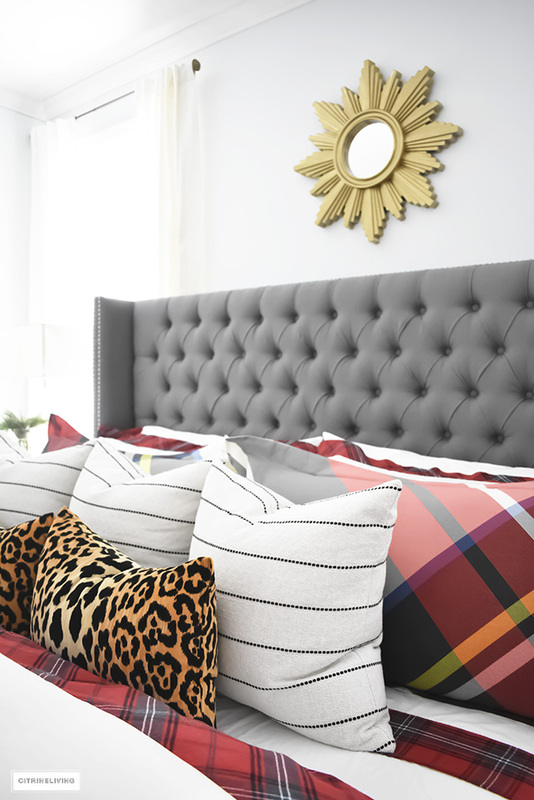 When I was asked by Williams-Sonoma Home if I would like to try their bedding, I jumped at the chance as fast as I could – I am a huge fan of everything they carry, and their brand is spot on for me when it comes to my ideal look. I’d like to extend a huge thank you to Williams-Sonoma Home for sending over all of our gorgeous bedding! I’ve linked the bedding as well as similar items in our room to shop throughout this post. 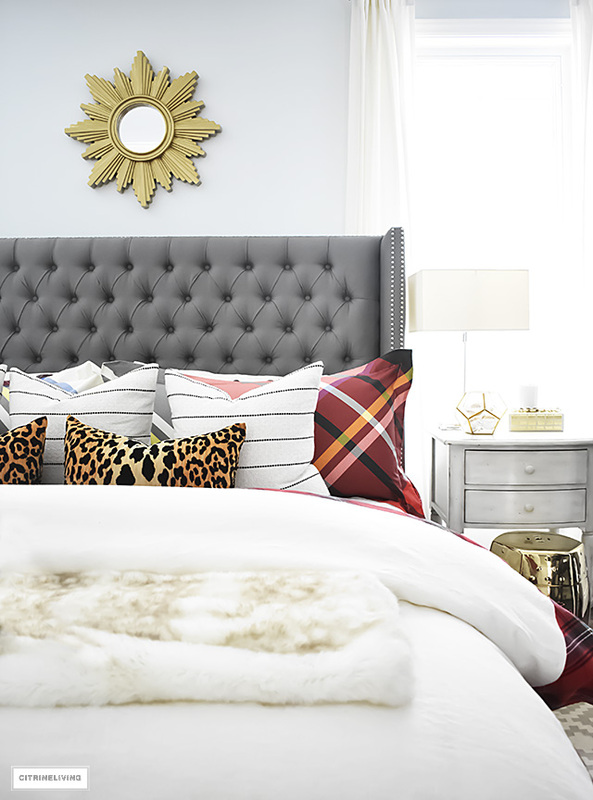 Come on in and see how gorgeous our bedroom looks this Holiday season! 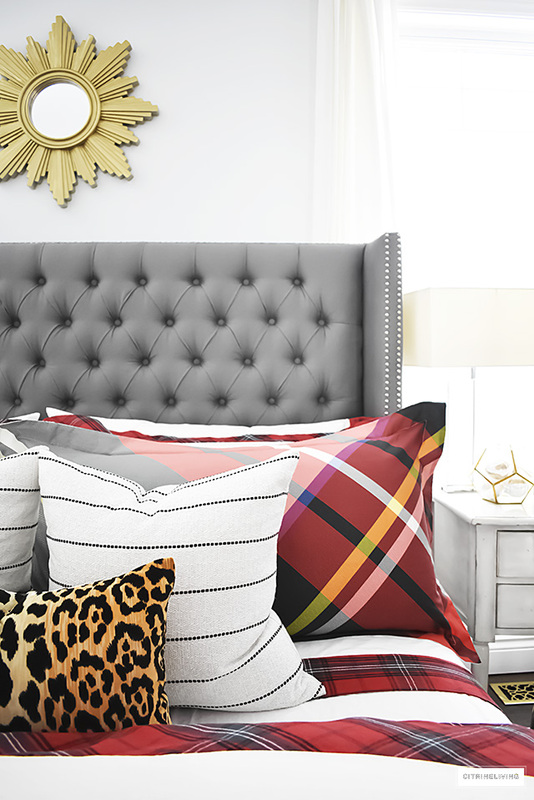 When I first saw this bedding, it honestly stopped me in my tracks. You know what I’m talking about – when you see something and just have to have it, right? 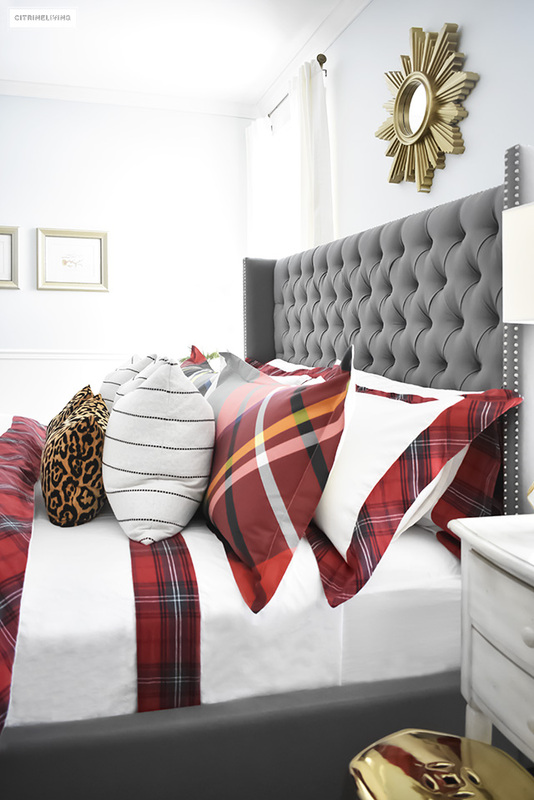 Well that happened when I laid my eyes on this stunning white linen and red tartan combo. Then something else happened. 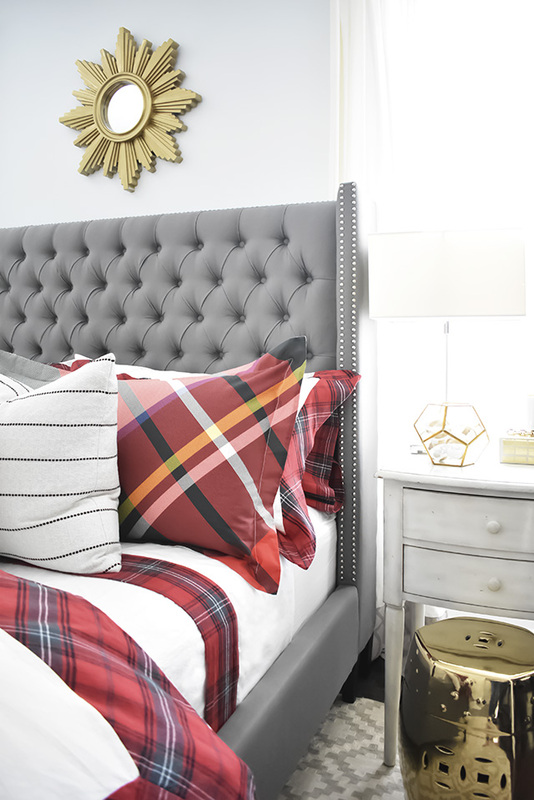 I laid my eyes on the oversized tartan bedding, and I knew I had to have that too. I was so torn between the two looks, because I knew each one would be spectacular in our bedroom. Then, my pattern-mixing brain turned on immediately, and I realized quickly how fabulous they would be paired together. Brilliant! Let me tell you, I couldn’t be happier with my choices. I. LOVE. THIS. MIX. 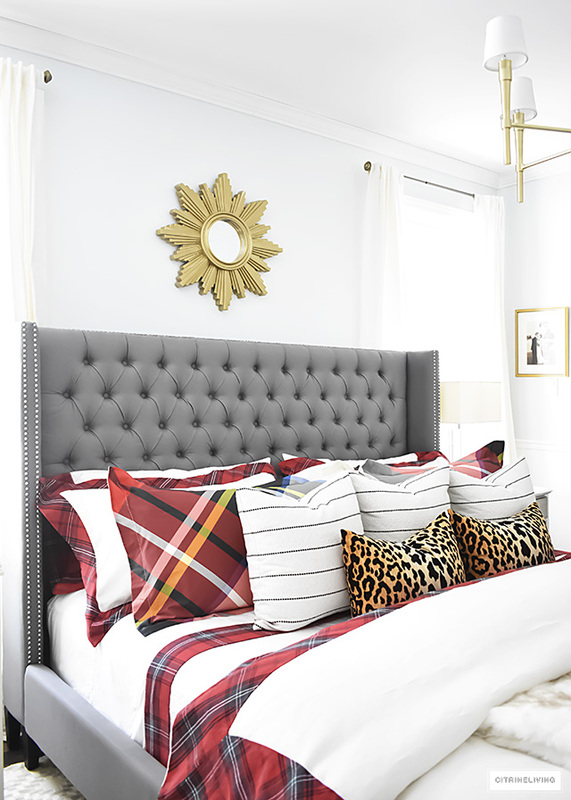 The crisp, white linen, and the red tartan border is tailored (which I love) and so chic. You all know I love chic! 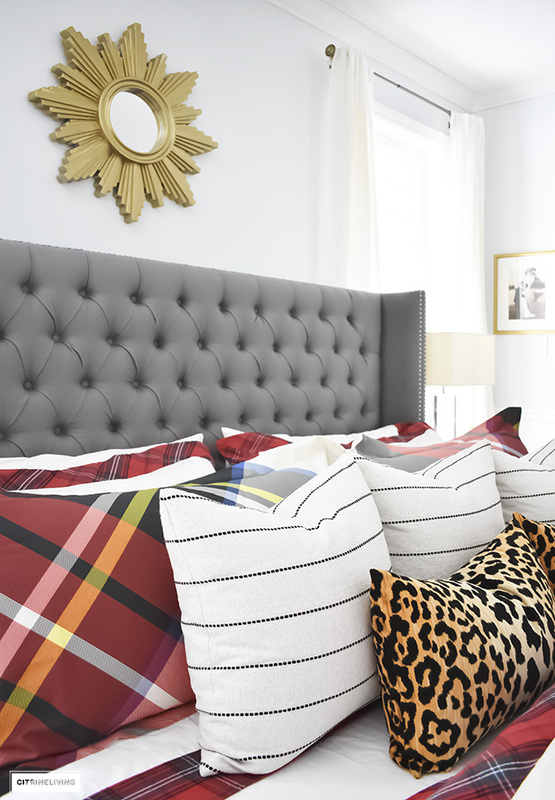 I always love to find a masculine/feminine balance, and this bedding is perfect for that look, paired with my leopard pillows. 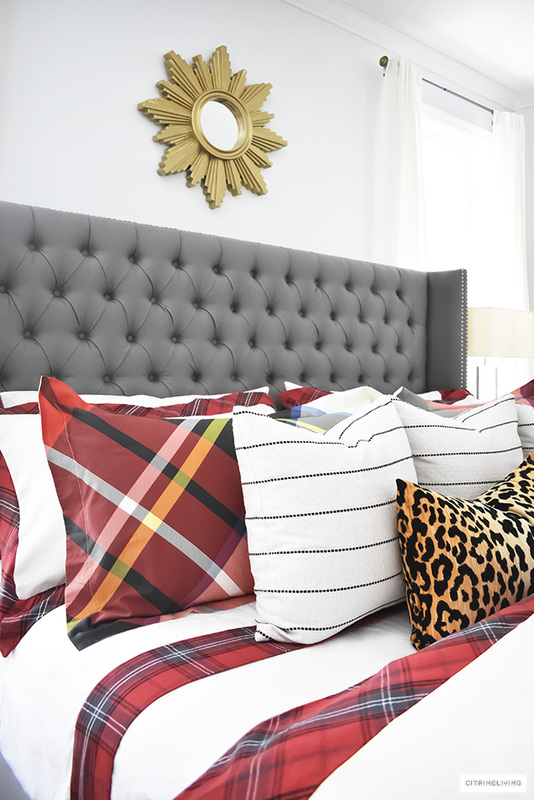 My leopard and striped pillows, both from Tonic Living, are the perfect compliment to both of the plaid patterns. 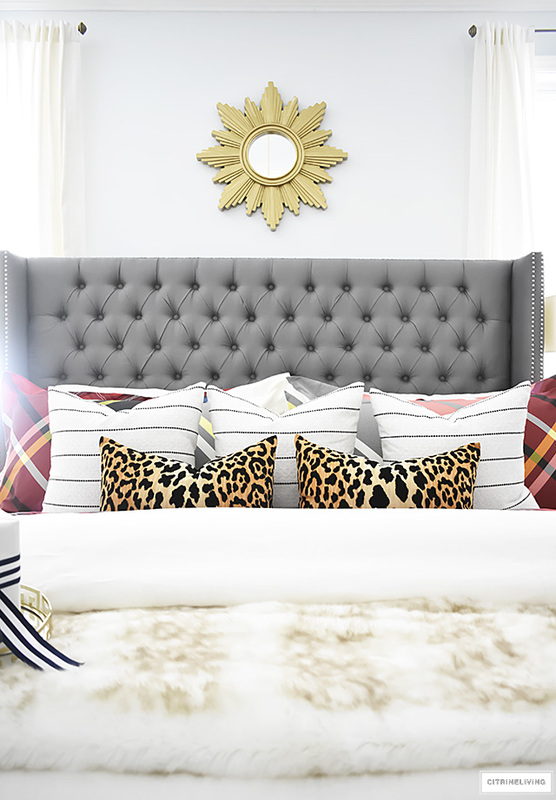 You can find my leopard pillows here, and the striped ones here. I also chose the coordinating white sheets with the tartan trim and we love the crisp feeling of the cotton percale when we get into bed. For me, there’s nothing like the feeling of cool, crisp, white cotton sheets when I climb into bed! Something new that I brought into our bedroom is a faux fur throw – I can’t tell you how cozy it feels sleeping with one. I am a ‘cocoon sleeper’ (I have no idea if that’s an actual term or not! ), but I love to be completely surrounded by warm, heavy everything when I sleep. 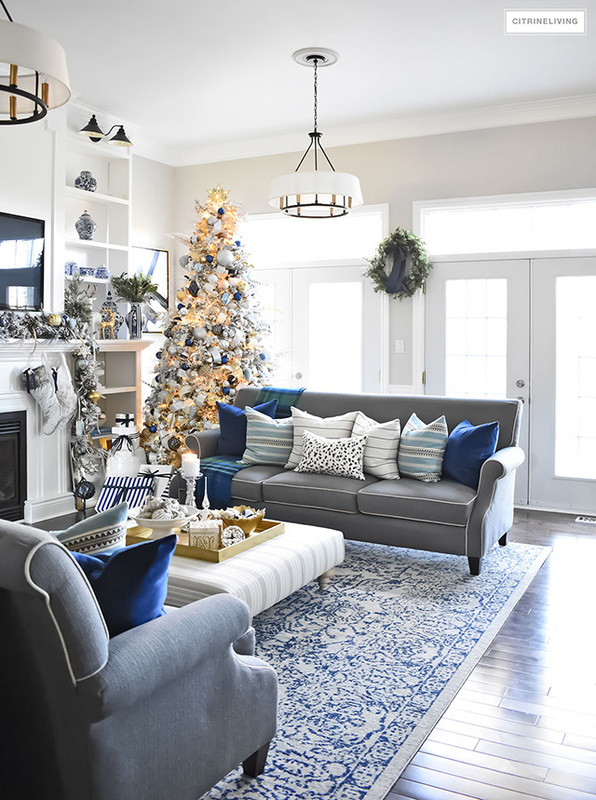 I found mine at HomeSense, and it’s almost the same as the White Sable throw from Williams-Sonoma Home, which you can find here. 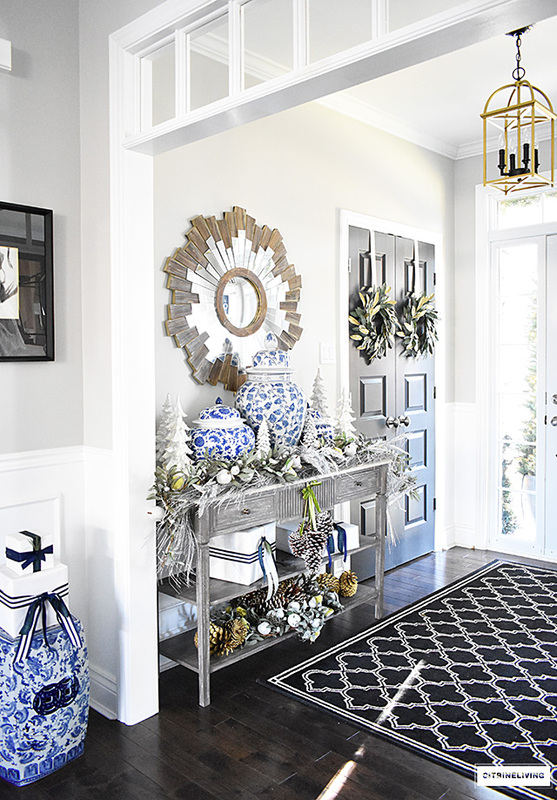 I really love how the white and tartan play off of the brass details in the room as well. You know by now how much I love anything brass or gold, and I certainly won’t be tiring of it any time soon! I’ve been on the hunt for new nightstands with storage and brass hardware for quite a long time now, which will help to complete our bedroom and give us some much needed storage. 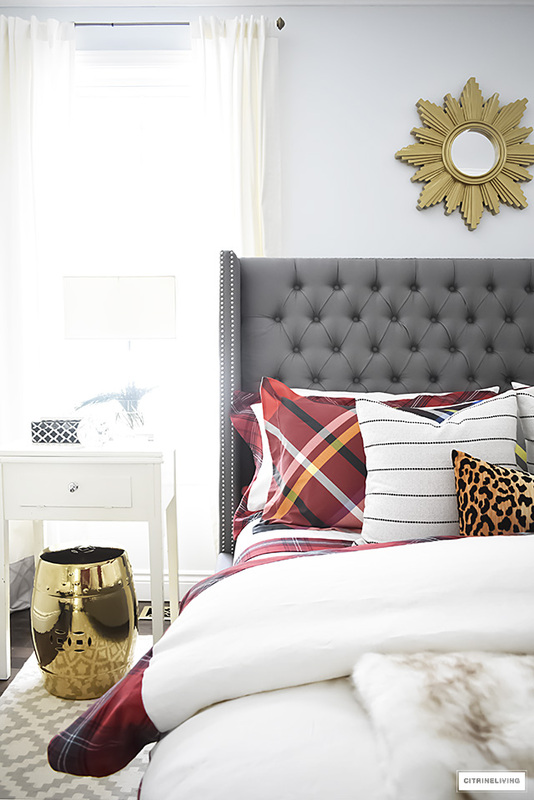 Having a small space to work with can be challenging sometimes, and focusing on the bed to make a strong statement is the perfect way to create some wow factor in your space. A small room can be a fabulous room when you have the right details in place. Thanks for stopping by the blog to say hi! This is as beautiful as I expected. I love the tartan. And as you say, it has a winter cabin vibe, but I think it’s sooo sophisticated. I’m not surprised, coming from you and your fabulous decorating. 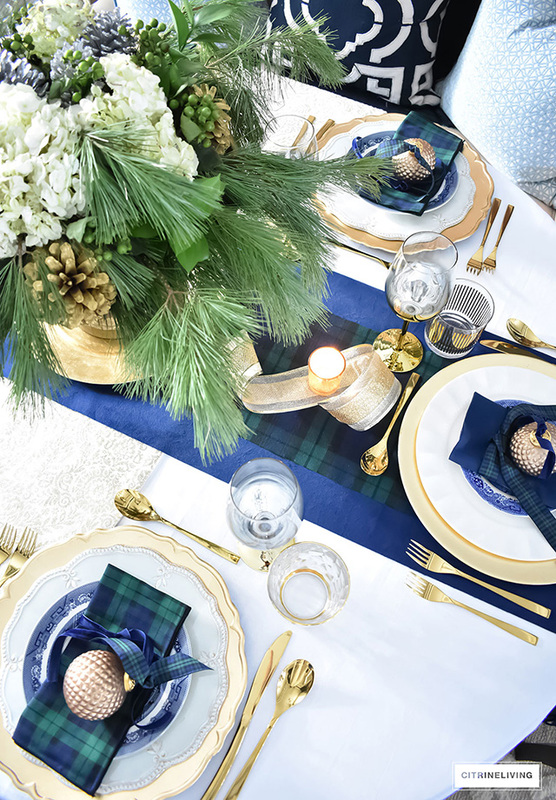 I love the white linen paired with the tartan. it looks so cozy! It absolutely can stay all winter. 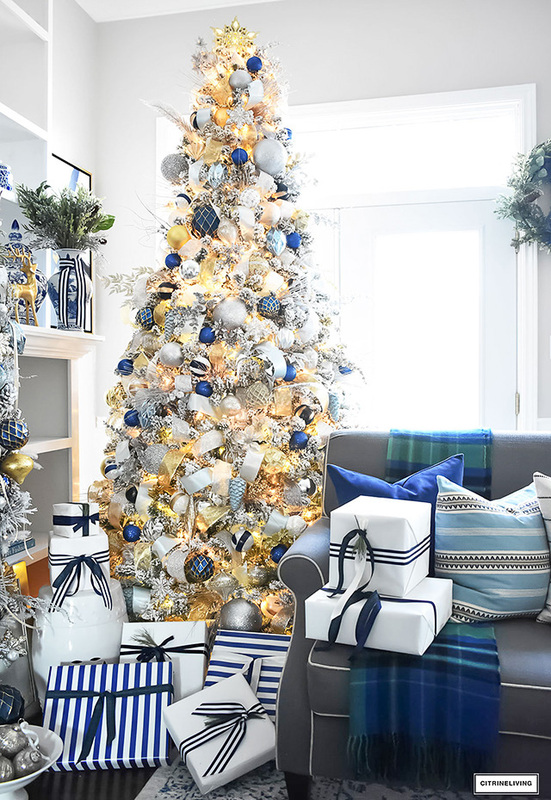 Plaid is not just for a Christmas. You bring beauty into our day and for that I want to thank you. 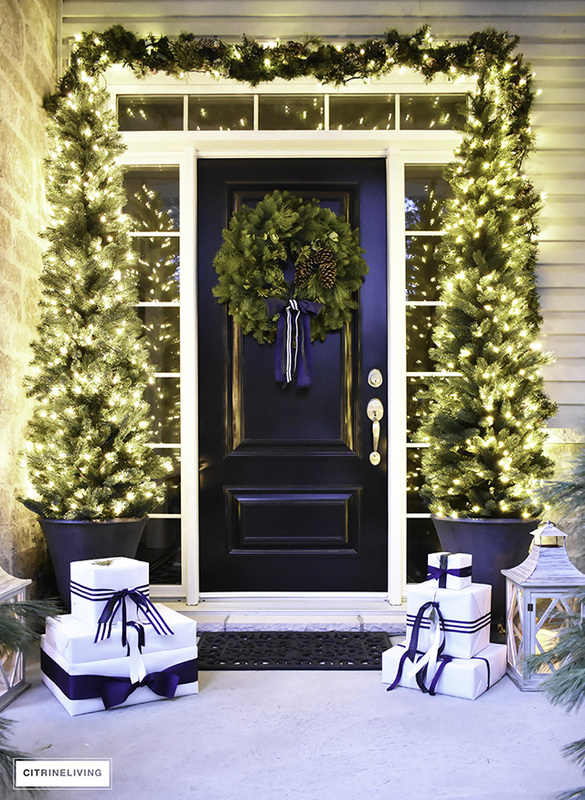 Merry Christmas to you & yours! 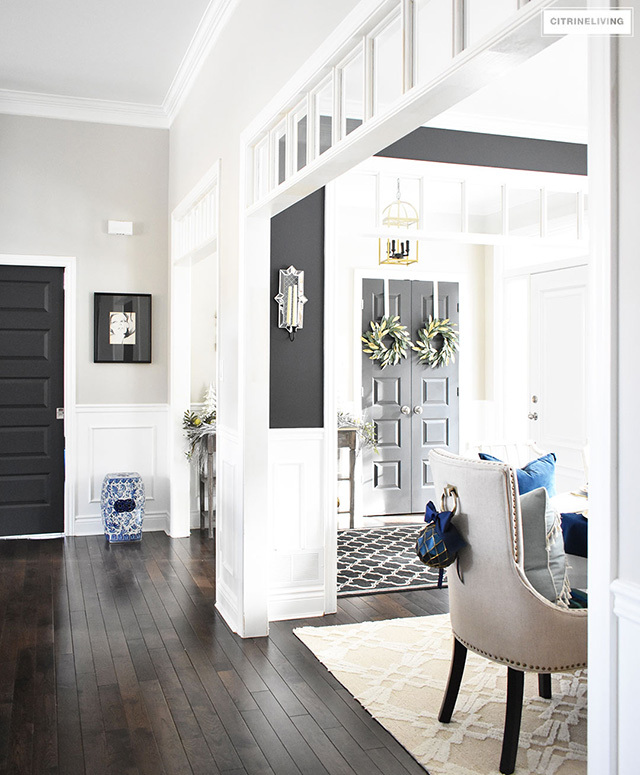 Hi what color do you use in your family room and bedrooms? This is the most cozy bedroom! I wouldn’t want to take it down for the holidays either! I also love your light-where did you get the little shades for it??! Love! Thank you very much, I’m so happy happy you like it!